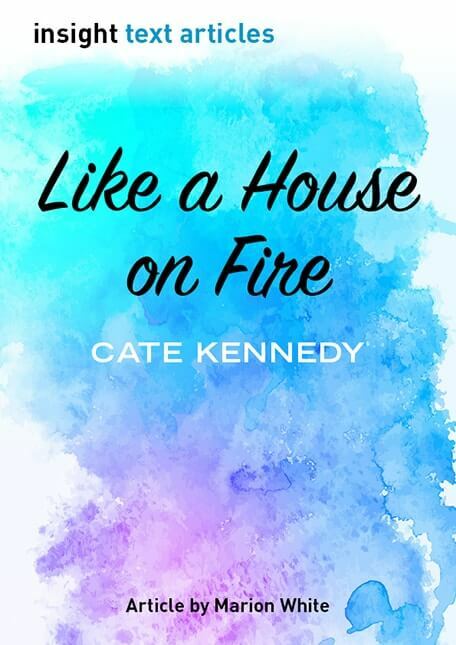 Like a House on Fire – Text Article is a 5000-word analysis of Cate Kennedy’s short-story collection. The article discusses the collection’s context, as well as Kennedy’s use of structure and language, and provides an in-depth analysis of characters and the collection’s themes. It also includes activities and discussion points, ten essay topics, ideas for creative responses and an analysis of a sample topic.